Get Membership Access to this Expanding Resource of Information for Aspiring Athletes & Models! 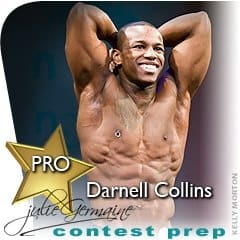 Perfect your performance on stage with the 2x Pro Fitness Model Champion! Both Amateurs and Pros Will Learn from These Tips! Content Expands Based on Client Questions! Currently you will find over 1 hour of posing video tutorials that are high quality, professional and informative to allow you to confidently navigate the stage and teach you everything you need to know about posing for the bikini/fitness model categories. This type of instruction is usually $150/hr via Skype, so your $9.99 membership quickly pays for itself! Going forward, I will respond to your emails questions information and will add blogs and contents based on demand. 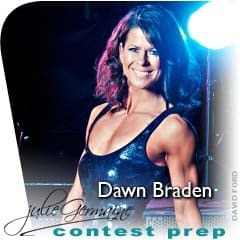 Currently the content only covers bikini & fitness model stage presentation, however other athletes will benefit from the explanation of what to expect on stage and how the show is run. In the near future, content will cover aspects of competing that will be relevant to all athletes, models and exercise enthusiasts who want to break into the fitness industry. What content is current covered in the members area? When are you Being Judged? Callouts: What Do They Mean? Avoiding Common Mistakes That Could Lose You the Show! I haven't competed yet - is this something I need? It’s never too soon to start preparing! Whether you are an aspiring competitor, an amateur athlete or a Pro, I guarantee you’ll benefit from my experience. What organizations does your information cover? The information provided is not organization specific and takes into account that the rules vary from one to another. I will do my best to alert you of situations where you need to research the contest of your choice to ensure you are on top of you game and feel prepared. What if I am already working with a trainer? You can still work with your own trainer along with being a member of this site! It is important to learn from as many people as possible to be successful as a competitive athlete. 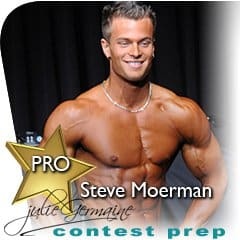 This online community provides general information about modeling and contest prep. Users are expected to interpret the advice and apply to themselves as they see fit. 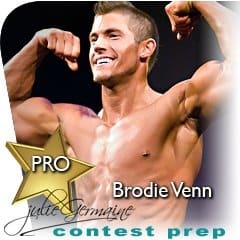 What is a contest prep hack? The urban dictionary defines a hack as a clever solution to a tricky problem. I want to help you prepare for your experience on stage or in front of the camera like a Pro – providing you with all the industry secrets by sharing my tricks and tips for success in one easy place. I will be welcoming questions and feedback from my members on what subjects they would like me to blog about next to ensure my content is top quality and targeted. Mobile Friendly, Clear Sound & Great Video Quality! The content expands to help meet the specific needs of members! Yes, Julie, I Want to Learn from Your Experience! Buy Now to Start Enjoying Your Monthly Access! Purchase now during this special offer & your monthly rate will never increase! Here Are Just a Few of the Athletes Who Have Benefited From Working With Me! Julie Germaine knows how to Achieve Success in Fitness. She is an internationally recognized fitness icon & reaches a million subscribers online everyday! She is one of Canada’s top professional fitness models and an industry-leading premier online trainer. This elite World-level athlete has held top 10 rankings during her 11+ consecutive competitive career, including repeat Pro Championship wins in 2013/14 and many top 3 World Championship awards. 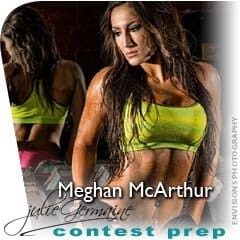 Since 2006, Julie has specialized in physique consulting and fitness modeling, providing contest prep to hundreds of winning amateur and pro athletes all around the world. Many of her athletes received sponsorship opportunities thanks to her advice & connections. Julie has also helped thousands more achieve incredible weight loss transformations. 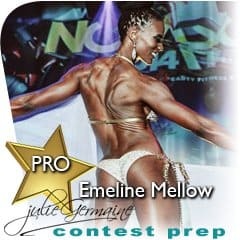 Let this super fitness model empower you to aim high, dream the impossible and teach you how to fulfill those fantasies! Yes, Julie, I Want to Watch Your Posing Videos!